WTF? Ken Burns you just lost a follower and supporter. 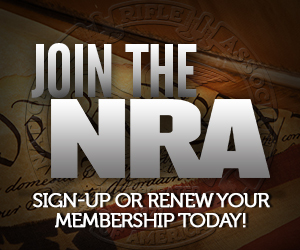 MT @kenburns: Today we launch StopTheNRA.com to do just that. Being a native of so-called flyover country, I get so sick of these self-important rich assholes from the coasts assuming that they can “stop” my political activities, “stop” my personal associations, and “stop” me from having a voice in my government. There is nothing about gun ownership that they aren’t ready to mock and attack, including hunting. In fact, the website’s biggest attack features on NRA’s actual statements and online presence in recent days are actually targeted to NRABlog, a site that has nothing to do with the politics of the debate at all. For them, the only motivation is to completely “stop” your way of life and “stop” your ability to participate in government the same way they do. Remember that we are at war – cultural that is – and what happened to the other side after the Revolutionary War was over. Send them back to their (ideological) home. God, I get so worked up over people like that! I think it’s important that we realize this and get the message out, so that everyone realizes it’s b.s. when they say they’re not out to get our guns. Their goal is complete disarmament. I mean, the philosophy of Mayors Against Illegal Guns is to make all guns illegal. . .
Ready when you are, Mr. Burns. Thanks for this post. You are exactly right about the self important a-holes trying to impose their will on us. Every time people like Bloomberg, Cuomo, and now Ken Burns open their mouths, I either donate more money to the NRA/NYSRPA/SAF or purchase additional (needed) firearms-related products from Midway or my LGS. Fight fire with fire. I’m ashamed that so many of their ilk infest my home in NYC, but as a politically engaged gun owner I will remain a perpetual thorn in their side. Every time these people speak, we need to point out that they are billionaires trying to influence the debate. That will make the leftists twitch from confusion on what they hate more, and normal people understand which side is the right side. The best thing that can be said is that if he does make an anti-gun movie it will be so boring and soporific people will be unable to stay awake to finish watching it. The Civil War series was a bit of a fluke with an interesting cinematic technique – but mainly propelled by NPR and the rest of the .Gov liberal Free Propaganda machine, and the music was suffocating.